Terre Haute, IN, December 9, 2009. Mercer Technologies and Midwest Vacuum Pumps recently reached an agreement with Pilko Technology Associates (Pilko Tech) to represent their products and services in the Northeastern US, from Maryland to Maine. Mercer Technologies, founded by Mike Mercer Sr. in 1992, is a service organization, helping heat treaters with replacement hot zones furnace rebuilds, temperature surveys, and preventative maintenance from our knowledgeable team of engineers and technicians. Our sister company, Midwest Vacuum Pumps (MVP), is able to repair or rebuild nearly any kind of pump – from the smallest roughing pumps to the largest diffusion pumps. 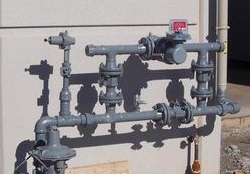 Our work is performed at your site or our 27,000 square foot facility in Terre Haute, IN. For more information visit the Mercer Technologies website or the Midwest Vacuum Pumps website. We are exhibiting at MS&T! See us in booth 329! It’s official: PilkoTech will be exhibiting at MS&T next week in Pittsburgh. We are confirmed in Booth 329. Please stop by and say hello. We’d like to thank our booth co-sponsors: Inter-Power Corporation supplying induction heating systems and DS Fibertech, producers of high-quality ceramic fiber heating modules. We will have literature for all of our lines. Pilko Tech is a manufacturers’ representative and consulting organization based out of Broomall, Pennsylvania. We represent DS Fibertech Heaters, ENrG Setters, Inter-Power Induction, Laeis Presses, Riedhammer Kilns, Temtek Solutions Insulation Products, MSSI Insulation Systems, and provide consulting services to manufacturers of advanced materials. PilkoTech is pleased to announce the addition of a new principal to our lineup. MSSI Insulation based in McKees Rocks PA is a manufacturer of fabricated insulation components and assemblies that has been serving the industrial community for more than 30 years. Custom assemblies and shapes from nearly any castable available on the market today, including fiber- and needle-reinforced mixes. Ceramic fiber assembies, from simple cut fiber blanket to engineered insulated panels. Steel structures in our fabrication shop, either new, or repairing a steel structure that you ship to us. On-site repair services, including bricklaying and hot patching. Whether you are an OEM or an end user looking for a supplier with the experience and skills to get a job done, MSSI can offer you a compelling value for your dollar. See our MSSI Pages for more information. Nothing is worse than getting off a long international flight, and then spending an hour or more waiting in lines at a busy customs check in point. Now frequent travelers everywhere can rejoice: The US Customs and Border Protection agency has just announced an expansion of their Global Entry program. This program allows international travelers to bypass the customs line when they land at select US airports and enter the country via an electronic kiosk. Pass the in-person interview conducted by a CBP agent at one of the participating airports. Should you fail to qualify, your application fee is not returned. Once you do qualify, you can go to one of the special kiosks where it scans your passport and fingerprints, then answer some questions on the touch-screen. When complete, the machine spits out a receipt that replaces your Customs Declaration Form which you can use to exit the airport and get on with life. Airports currently served are: ATL, BOS, DFW, DTW, EWR, FLL, HNL, IAD, IAH, JFK, LAS, LAX, MCO, MIA, ORD, PHL, SEA, SFB, SFO, SJU. We all need to occasionally convert from one unit to another. If you’re like me and need to translate between English and Metric units on a daily basis, you’ve probably memorized most of the common conversion factors, however there are far too many units out there to memorize them all. 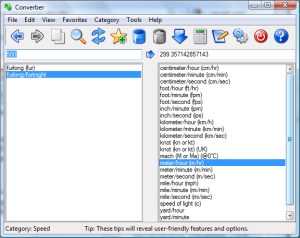 Through the years I’ve used a variety of tools to keep up with this: Thomas Glover’s Pocket Ref , Gieck’s Engineering Formulas , Google, and via Units on my iPhone, but I’ve never had a unit converter program installed on my PC. Today I discovered Converber. It’s a lightweight piece of Freeware that works the way I want it to: Lots of units, no mass of tabbed dialogs to work through, and a search box that lets me find what I’m looking for quickly. Very cool. RHFL 17125 and RHFL17027: New small high-temperature furnaces from Riedhammer ready to work for you. Riedhammer GmbH introduces today their RHFL and RHBL small furnace lines. 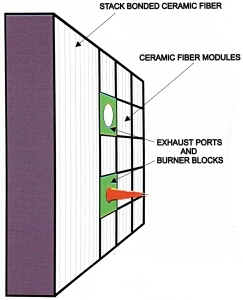 These are fiber-lined, electrically heated, standardized furnace designs that can be delivered quickly and economically for the development and production of technical ceramics. Both lines are available for use to maximum temperatures of 1700 or 1800°C (3090 or 3270°F) in sizes from 27 to 250 liters (1 to 9 cubic feet). The RHFL is an economical front-loading design, while the RHBL is a bottom-loader designed for optimal temperature uniformity and ergonomics. Each unit can be customized by selecting from an array of standard options. The RHFL and RHBL compliment the larger, custom-made kilns and furnaces Riedhammer has been supplying to the ceramics industry since 1919. These include elevator, shuttle, roller-hearth, pusher-plate and tunnel kilns. Thousands of Riedhammer kilns are installed throughout the world making advanced ceramic products such as batteries, fuel cells, emission control devices, electronic ceramics, and ceramic membranes. As part of “Team by Sacmi,” Riedhammer – with its partners Alpha Ceramics, Laeis, and SAMA, – offers manufacturers of ceramics and advanced materials end-to-end solutions for the development, optimization, and production of their products. For much of the USA, today is the first day back to school. My wife just packed up our 5-year old for his first day of kindergarten. For us adults, that means that summer is over, and its time to get back to work. At Pilko Tech, we used this summer slow season to develop a brand new website. The original one we created was functional, but as we’ve added principals, we found that it didn’t scale well, and was difficult to search. So here it is, presented for your browsing pleasure. Each of our principals has a page devoted to them, and each of their products. We’ve tried to organize the products into potential applications to make it easier to find what you’re looking for. I’m sure, as with all new designs, we’ll be making subtle changes to this in the coming months. We’re demoing a few new features on this site: The live chat box down at the bottom right. If it says we’re online, please say hello. We’d really like to get some feedback on how this works. We’ve also added our booking tool in the sidebar at left. So thanks for visiting. Take some time, look around and let us know what you think. Riedhammer GmbH concluded a sales meeting here with their new North American sales team – Jaime Graham, Mac McGinnis, and Chris Pilko – marking a new beginning in their support for customers in North America. McGinnis and Pilko handle the Technical Ceramics and Advanced Materials markets from their respective offices in Dallas and Pennsylvania. Graham handles Sanitaryware and Tableware from his office in Florida. Each will become the primary contact for their customers to facilitate communications with Germany. Spare parts will continue to be supplied from Sacmi USA in Iowa. 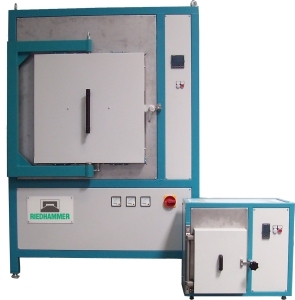 Riedhammer is a leading supplier of kilns and furnaces for firing ceramics and heat treating advanced materials. For 90 years they have been building tunnel, shuttle, roller hearth and rotary kilns at their headquarters in Nuremberg Gerrmany. Since 2003, the company has been part of the Sacmi Group, the world’s largest vertically integrated supplier of machinery to the ceramic industry.